Have you been searching for a good as new home close to many forms of entertainment? We’ve got a stunning ranch style home right off the Golf Course that you shouldn’t miss. Come learn about 62 Augusta Circle in Gillette, WY. Located in the newer Tenth Hole Estates, this home neighbors the Country Club Golf Course. At this location you’re also right down the road from all the major shopping and restaurants in town, not to mention right behind the popular Dalbey Memorial Park. This park not only offers playground and space for sports activities, but there’s also fishing and a nice walking path for your enjoyment. 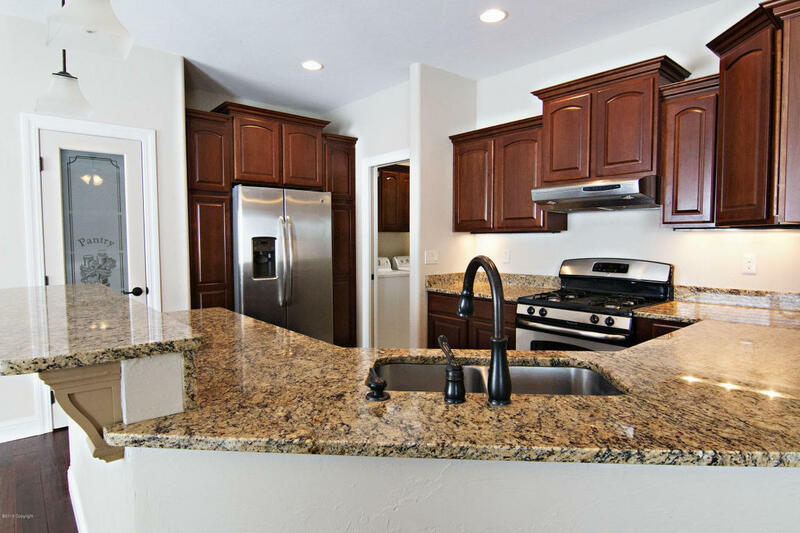 This 2013 ranch style home sits at a total of 3,148 sq ft. The main level of the home features 3 bedrooms and 2 bathrooms. The master suite gets added privacy at the opposite side of the home from the other bedrooms. 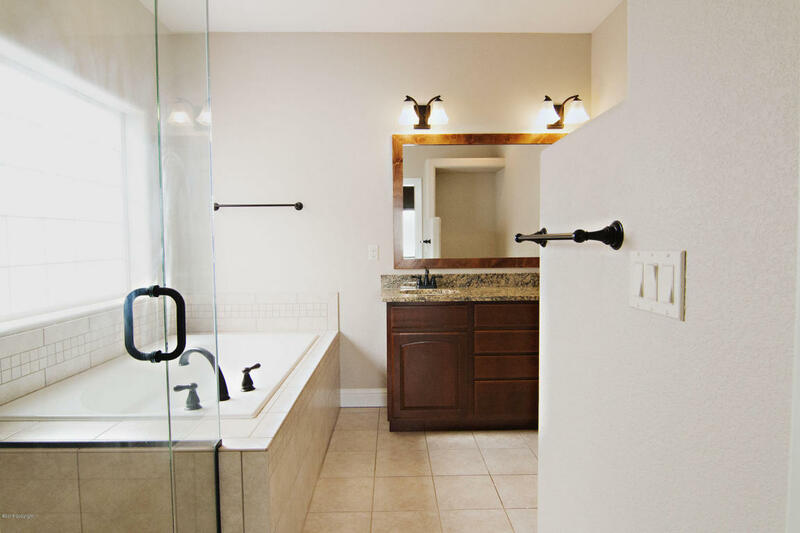 It features a walk-in closet with custom shelving and a beautiful 5 piece master bathroom with tile and a large soaking tub. The living room, dining area, and kitchen boast a nice open concept. Dark, hand scraped, hardwood flooring flows throughout the space. 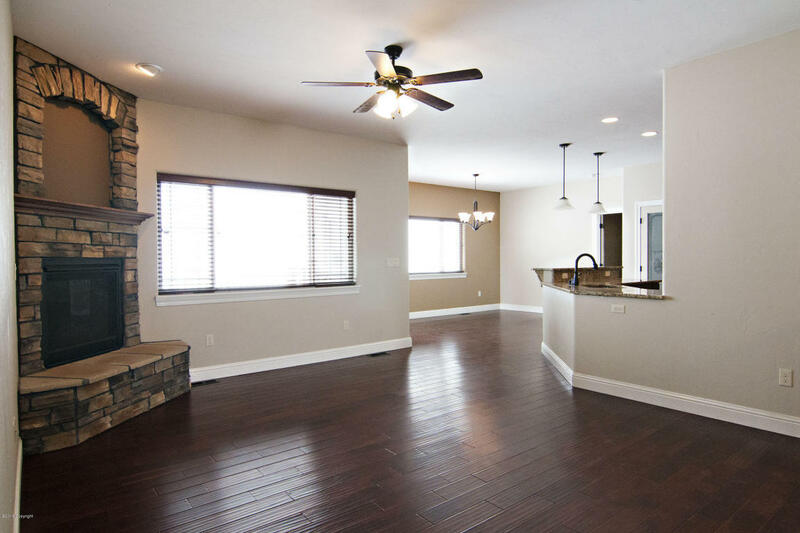 The living room boasts a beautiful corner gas fireplace and you’ll find granite counter tops in the kitchen. The breakfast bar offers additional seating and you also get the perks of a pantry for extra storage space. The unfinished basement is just waiting for your personal taste. 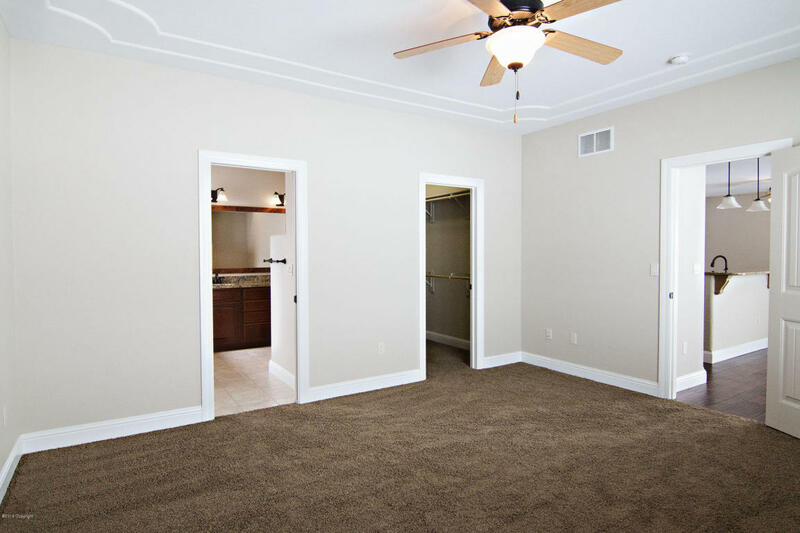 There’s plenty of space to grow – you can add additional bedrooms, a bathroom and still have tons of space for another living area. The backyard boasts a large maintenance free deck with a built in awning to enjoy the views and coming warm summer nights. The attached 3 car garage offers plenty of space for your cars and any extra storage needs you may have. So if you’ve been searchng for a good as new ranch style home close to means of entertainment then keep 62 Augusta Cir in mind. If you have questions about this home or any others in the Gillete area please don’t hesitate to contact us.